Getting your first aquarium is always special. You’re excited about the prospect of bringing the beauty of aquatic nature into your own space. You have every right to be excited. But, when it comes to picking your first aquarium tank, you may be suprised when you discover the best and safest way to go. The best tank size that will put you in the best position to succeed. After reading this, you’ll have the knowledge needed to make the right choice when choosing your aquarium. Excited? You should be. I am. Let’s get into it. 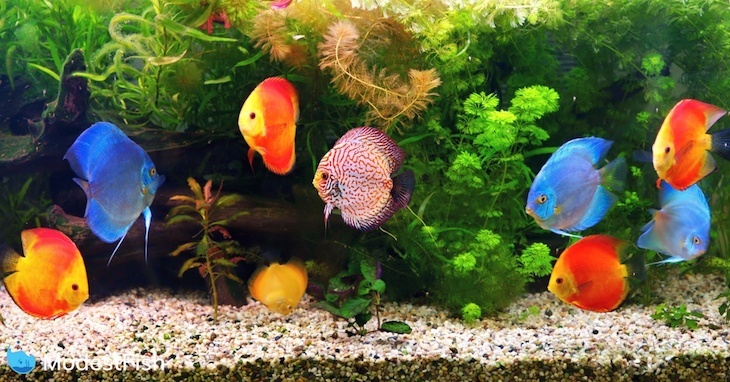 Part 1: What is the best fish tank size for beginners? 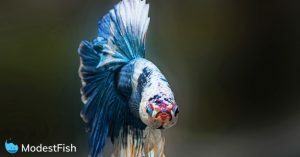 Part 2: How to pick your first fish tank? Conclusion: Which tank should I pick? What’s the Best Fish Tank Size for Beginners? Whether you’re just starting in the aquarium hobby or upgrading to a new tank, one of the first things you need to think about is tank size. Aquariums range in size from as small as 1 gallon to hundreds of gallons and every size in between. If you are a beginner in the aquarium hobby, however, you should think carefully before settling on a tank size. If you’ve never kept an aquarium before, you might assume that a small tank is easier to start with than a large tank. You may be surprised to learn, this isn’t always the case. For a beginner, 5 gallons is the minimum recommended tank size, though a 20-gallon tank or larger is even better. 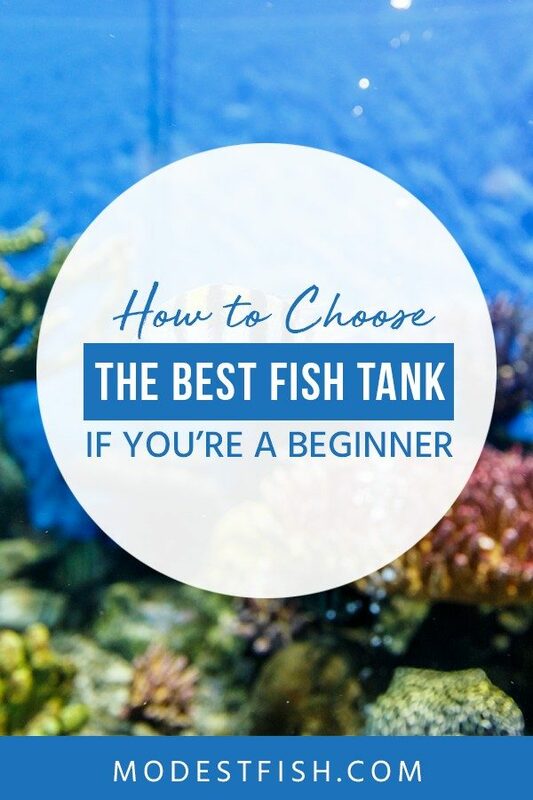 Why should you start with a larger tank? It all has to do with water chemistry and tank maintenance. Your fish tank is a contained ecosystem, and you need to maintain stable conditions for your fish. A large tank with a high water volume is less susceptible to change than a small tank with a low water volume, so it is actually easier to keep your tank conditions stable in a larger aquarium. With this in mind, let’s talk about some of the other factors that come into play when it comes time to start shopping for an aquarium. When it comes to selecting a fish tank, there are many options to choose from and many factors to consider. The size and type of fish you want to keep will help determine the size of your tank and the location where you want to put it will determine the shape. You’ll also need to think about the benefits of glass versus acrylic aquariums, factoring in details such as tank weight. If you want to make your job as simple as possible, consider purchasing an all-in-one aquarium kit that comes with everything you need to get started. If you plan to keep guppies, you can probably get away with a smaller aquarium, but larger fish need a bigger tank. 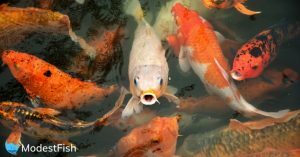 Think about the type of fish you want to keep in your tank and then determine their adult size – this is an important factor to consider when choosing a tank size. Don’t assume that getting a bigger tank means you can have more fish. Fish size is certainly a factor to consider, but you also have to think about things like activity level, waste production, and more. Some fish simply need more space than others, so choose a tank that will work for the fish you plan to keep. The best place for a fish tank is a location where it can be visible and accessible but not in the way. It shouldn’t be in direct sunlight and it should be away from doors and windows. Take a look around your home and think about where you want to put your tank. Once you have a location in mind, you can take some measurements to see what tank size you can accommodate. Keep this information in mind along with the types of fish you want to keep when choosing a tank size. Pro Tip: When thinking about where you are going to put your tank you need to think about how you are going to maintain the quality and temperature in your tank. Avoid putting your tank next to a door, window, or air vent because drafts and air conditioning can affect your tank temperature. Putting your tank in direct sunlight is also a bad idea because it could trigger algae growth. Glass vs. Acrylic Aquariums: Which is Better? The next decision you have to make after tank size is tank construction. Aquariums are usually made from two materials – glass or acrylic. Both options have their benefits, so it is really a matter of preference which option you choose to go with. Glass is sturdy, difficult to scratch, and affordable – it also maintains its clarity over time which makes it a good long-term investment. Acrylic is more expensive, but it is also lightweight and less susceptible to cracking or breaking. Think about what is important to you when choosing between acrylic and glass. But, at the end of the day, both will do the job. So don’t stress over it. As you start thinking about whether you want a glass or an acrylic tank, you should think about the weight of the tank when it is full of water. Glass tanks are heavier than acrylic, but any tank full of water is going to be pretty heavy. Take this into account when choosing a tank size and tank location. You may want to invest in a purpose built aquarium stand if you think your regular stand won’t do the job. If you want to make your job as easy as possible, consider buying an all-in-one aquarium kit instead of piecing things together yourself. Aquarium kits come in a range of different sizes and they typically include a light fixture and a filter. 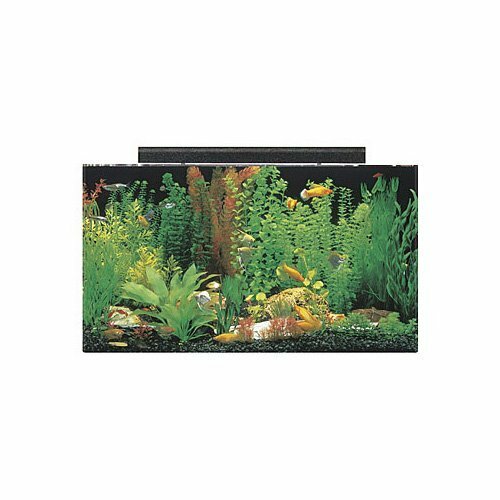 Some kits also come with a heater and additional accessories such as a thermometer, fishnet, water conditioner, fish food, and even tank decorations. Now you’re well informed on what you need to consider when choosing your first fish tank, you can use the following product reviews to make an informed buying decision. 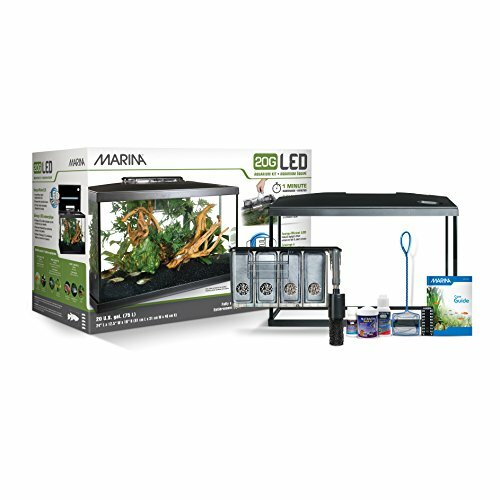 This all-in-one aquarium kit from Tetra comes with a 20-gallon glass aquarium, an LED hood, a Whisper 20 filter, Tetra HT 20 heater, and several artificial aquarium plants. Available in four different sizes ranging from 10 gallons to 55 gallons and it comes with additional accessories such as a digital thermometer, fish net, water conditioner, filter media, and more. Available in 5, 10, and 20-gallon sizes, the Marina LED Aquarium Kit is a great buy for anyone getting started in the aquarium hobby. 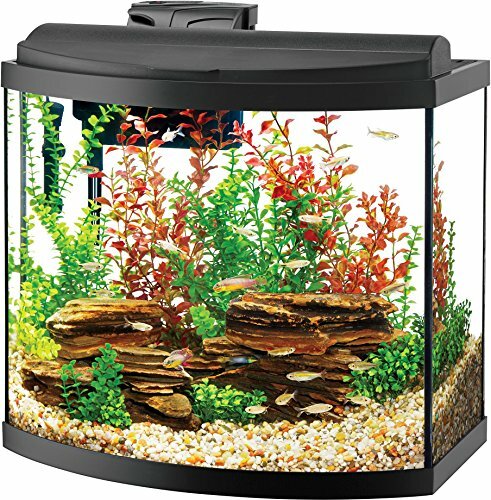 This kit features a glass aquarium with a clip-on filter complete with quick-change filter cartridges. It also comes with an LED lighting module incorporated directly into the hood as well as a net, thermometer, water conditioner, biological supplement, and fish food. This aquarium kit may not be as comprehensive as some of the others on the market, it features an acrylic aquarium which is much stronger and more impact-resistant than a glass tank. Available in sizes ranging from 20 gallons to 50 gallons, this kit comes with a 24-inch light fixture and reflector as well as a colored backdrop. 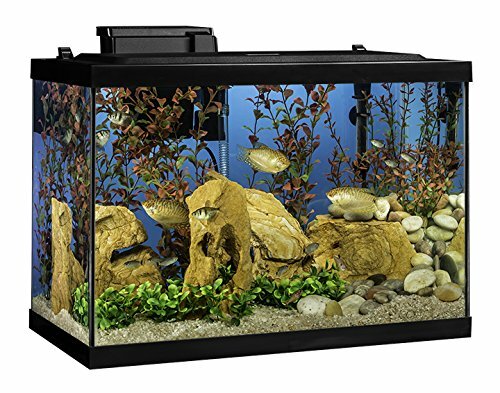 With its unique bowfront design, this Aqueon Deluxe LED aquarium kit will show off your fish to their best advantage. 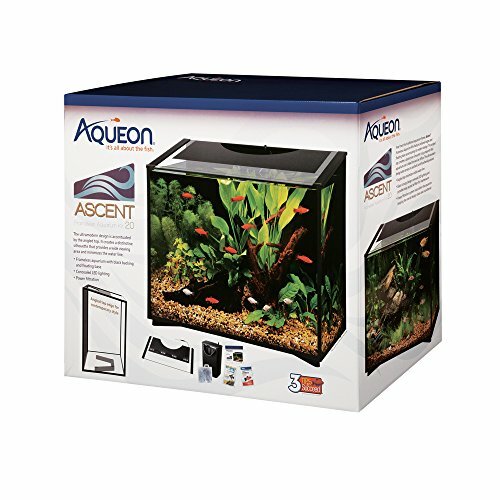 Available in 16-, 26-, and 36-gallon sizes, this aquarium kit features a glass tank with a curved front panel as well as a low-profile LED hood, power filter, and submersible heater. It also comes with additional accessories such as a net, food sample, and water conditioner sample. 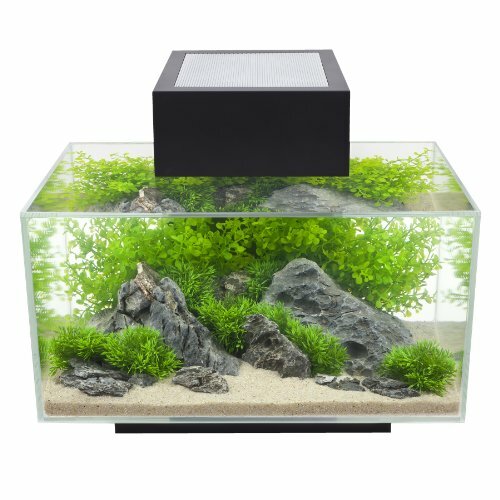 Uniquely designed to hide tank equipment and wiring, the Fluval Edge Aquarium kit is a very attractive option. This kit includes a six-sided glass aquarium for 360-degree viewing as well as an LED light fixture, Fluval power filter, and all required filter media. The tank looks great, runs quietly, and is very easy to set up and maintain. Which Tank Should I Pick?